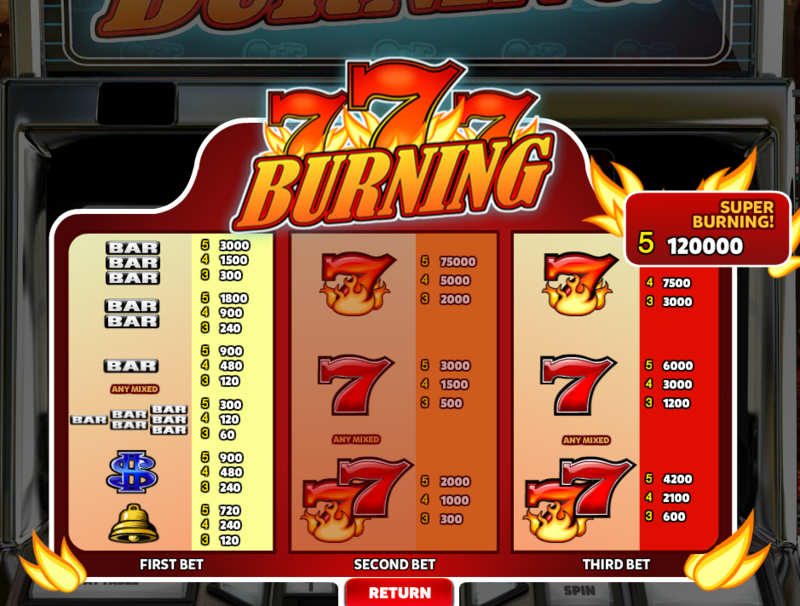 It’s always good to see an online slot designed to look like the ones we used to play in bricks and mortar casinos and there are several developers particularly good at these designs – Realistic Games is one but here we have a game called Burning Sevens by Red Rake Gaming. It doesn’t burden us with any extra features but it does offer three different bet options, a massive top prize of 120000x your stake and you can read all about it below. 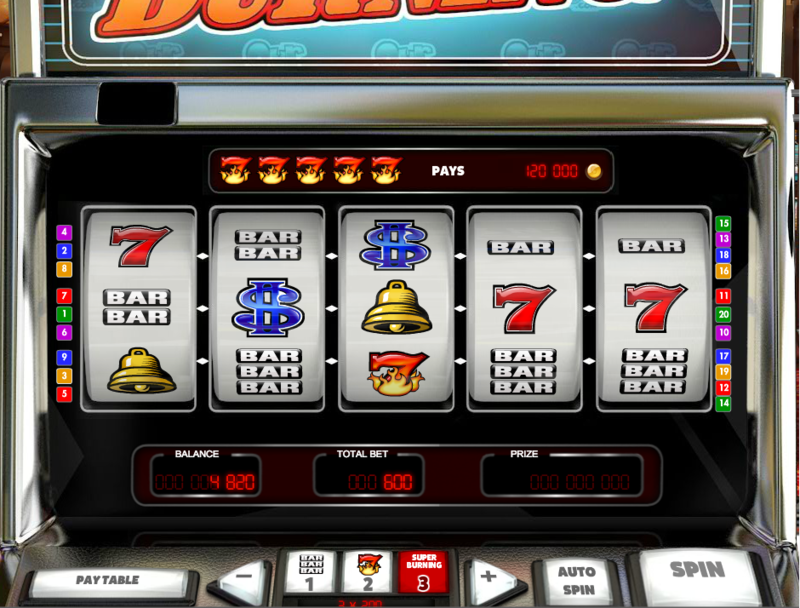 Burning Sevens is a five reel slot with three rows and twenty fixed paylines; the design of the game is the standout thing here and you could almost be roaming the sticky carpets of a Las Vegas casino, so realistic are the graphics. The sound effects are a combination of casino chatter and traditional slot noises and it all works well. The symbols are all familiar and include single/double/triple bars, dollar signs, bells, sevens and burning sevens. There are no wilds or bonus symbols so what you see is what you get. It’s also worth noting that the RTP increases through the betting levels from 95.20% to 95.50% and up to 95.90% so there’s a slight financial advantage in going for the third bet level. We’ve enjoyed playing Burning Sevens – it’s a very faithful recreation of a physical machine and well worth some of your time if you’d like a reminder of what it used to be like.